SEE VIRTUAL TOUR FOR MORE DETAILS. Wow! 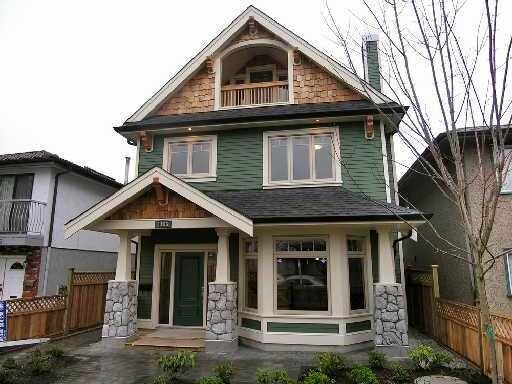 Another quality built character duplex by Spearhead Homes. Stunning workmanship and finishings! Open plan layout with engineered hardwood floors, granite kitchen and solid wood chocolate cabinetry, 3 bdrms up, this is a front unit top floor loft master bdrm or media room with 4 pc ensuite and outdoor deck with panoramic city/mountain views!! Fenced front yard, extensive use of mouldings, warm designer colours, undermount sinks and marble counters in all baths, unique high efficiency h/w radiant heating system, gas F/P, gas BBQ H/ups, RI vaccumn, BI alarm, great exterior street appeal, with rain screened hardiplank, wood soffits, 2-5-10 yr warranty and much more. Immediate possession.